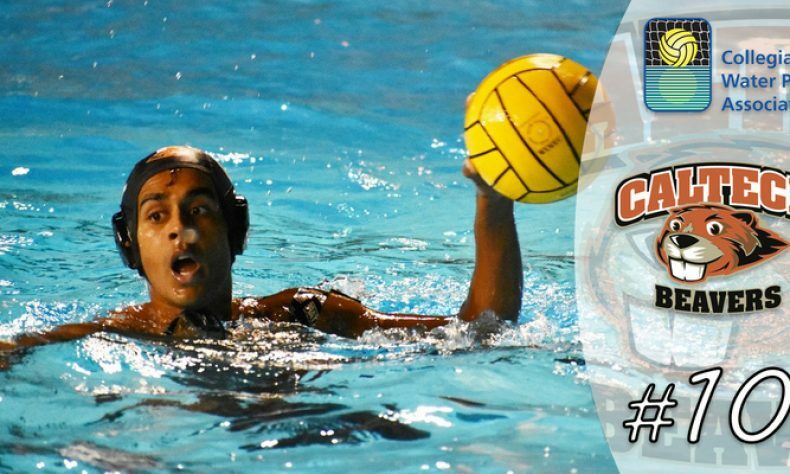 The Caltech men’s water polo team opened Week 6 of the 2017 season as the 10th best team in Division III in the latest Collegiate Water Polo Association poll. It is the highest CWPA Division III ranking in the history of the program. The Beavers’ recent resume includes a SCIAC victory over Occidental College on Sept. 27th, their first since 2001, in addition to three wins at the Gary Troyer Tournament in Claremont this past weekend. It was there the Beavers knocked off out of town foes such as Penn State Behrend and Connecticut College in addition to Occidental for a second time in a non-conference game. The Collegiate Water Polo Association is the governing body over NCAA varsity and club men’s and women’s water polo teams. Each poll has 10 pollsters and each pollster examine scores and rank teams in light of their results. They are charged with ranking the teams to the best of their abilities without considering their subjective feelings about the strength of a team or individual factors affecting a team’s performance, such as injury or illness to specific athletes. Head Coach Jon Bonafede and the Beavers will return to action on Saturday, Oct. 14 when they travel to Whittier College for an 11 a.m. game.